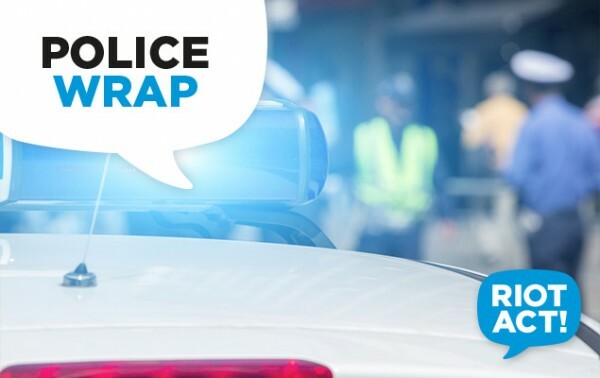 ACT Policing is investigating reports two children were approached by a man at a Belconnen primary school on Friday morning (17 August). Around 11 am, police responded to reports of two primary students being approached by a man near the school boundary fence. The offender is described as having a dark complexion and a black beard. He was wearing a black unzipped hooded jumper, a black shirt with writing on the front, dark tracksuit pants, a black beanie and a square, silver and gold watch. Police are seeking witnesses, dashcam or CCTV footage from the area at the time of the incident around 10:30 am. ACT Policing is particularly interested in speaking to three people walking who may have been in the area at the time. Police encourage parents and guardians to teach their children good personal safety practices including stranger safety, and to contact police immediately if they become aware of similar incidents. Please quote reference 6298697. Information can be provided anonymously. Unless more details are given it sounds like a witch hunt. Might be helpful to tell us which school this happened at if they want information…..
A Belconnen primary school? Gee that narrows it down. This is getting a bit hysterical. We had a big false alarm at our “Belconnen primary school” just because a kid thought he was being called by another kid’s parent. Don’t forget that incident where parents contacted police saying a man was seen at a school taking kids to his SUV, and it turned out that he was the father of the kids and he had taken them there on their first day after moving to Canberra.